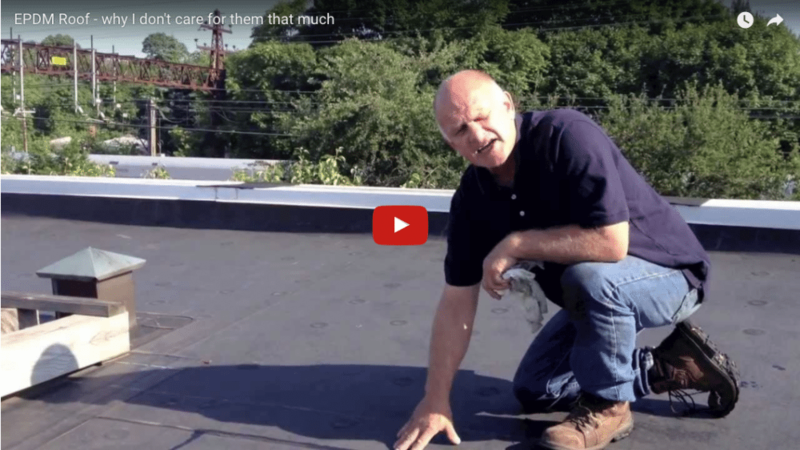 When a rubber membrane has been installed incorrectly on a residential roof, It often happens that the owner of a house is not aware of how much the roof is leaking and how much damage has been caused. This particular roof has been leaking for over 5 years and the beams and substrate were rotted out. The best practice is to remove the old roofing material and replace all the rotten wood. After making the necessary repairs, then a Rubber Membrane can be installed. There are basically three types of membranes commonly installed by roofing contractors. These are TPO, EPDM and Torch Down membranes. EPDM Rubber membranes are very thin and start leaking in a relatively short period of time. The reason for the leaks is that the adhesives fail prematurely due to the extreme heat generated on a roof. Another reason for leaks is that the caulking that is applied to secure the seams where they overlap each other, dries out compromising the roof. 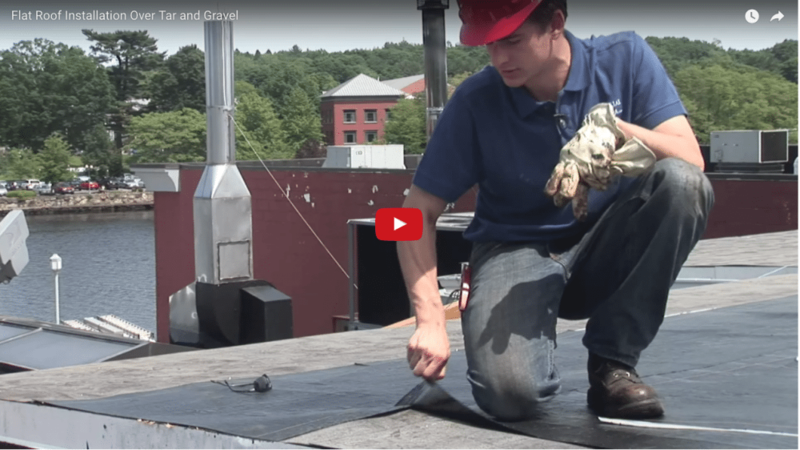 Watch this video on Rubber Roof installation. Torch Down Rubber Membranes are the toughest of all roofing membranes. If installed as a 2 ply system, then this type of roof will last 40 years and more, unlike the EPDM and TPO roofing systems. There are several types of torch down roofing membranes. They come in different colors, thicknesses, and quality. We prefer to use the Firestone brand. But there are other brands that perform just as good. 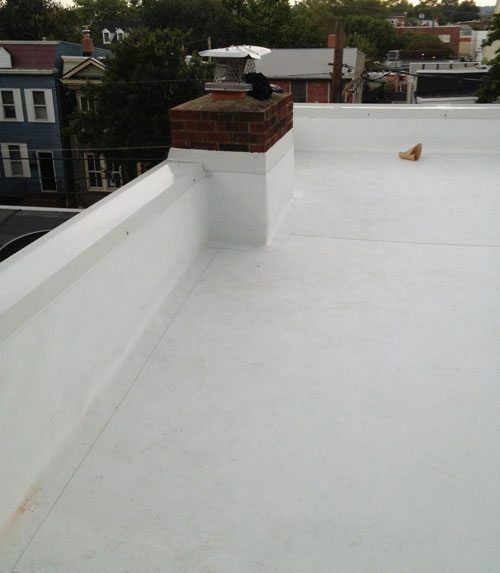 Although TPO is a membrane used for roofing, it is not considered a rubber membrane. TPO is a relatively strong membrane and can withstand all weather conditions, unlike the EPDM Rubber membrane. A TPO membrane is white and therefore reflects heat and Ultraviolets very well.